The WHO and its more than 100 partners have administered immunisation campaigns in Rohingya camps. As hundreds of thousands ofRohingyafledMyanmarand settled in Bangladesh last year, health organisations were immediately concerned about outbreak of disease taking place in the overcrowded and unsanitary camps. 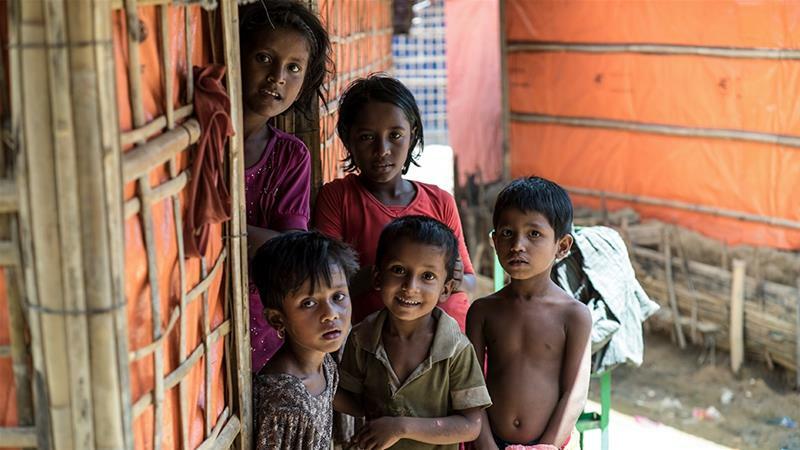 There are more than one million Rohingya living in 32 camps in Cox’s Bazar district after having fled persecution and a violent militarised crackdown by the Myanmar army. In addition to contagious and non-communicable viruses, the refugees remain at risk of landslides from heavy rains. 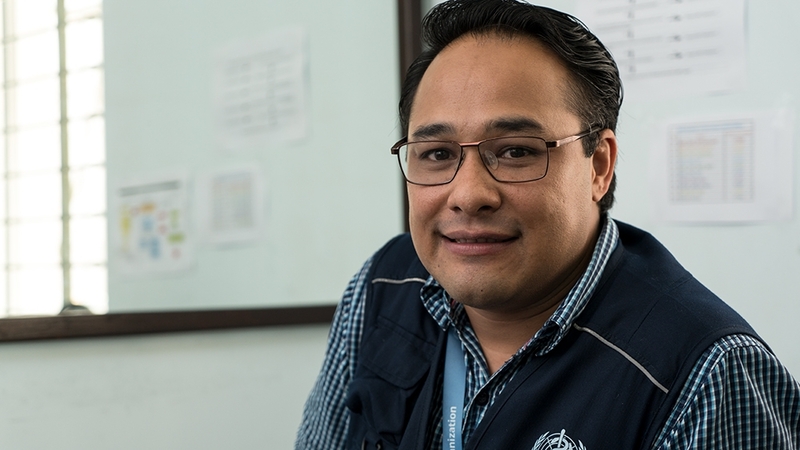 For Peter Salama, the World Health Organization’s (WHO) emergency response chief, the magnitude of the risks posed by these conditions was overwhelming. “I realised how fragile the environment was from a human and ecological perspective,” said Salama. TheWHOhas partnered with more than 110 organisations on the ground to cater to the health needs of the Rohingya refugees. 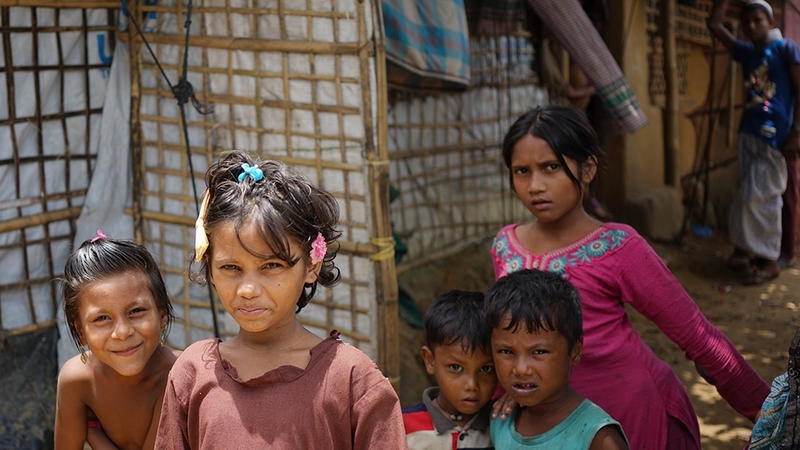 Due to their systematic exclusion from government services, the Rohingya received almost no immunisation while living in Myanmar’s Rakhine state. That is why the first thing the WHO did was to launch comprehensive vaccination programmes. “Within weeks of the population crossing the border, there was an unprecedented cholera vaccination programme that prevented the population from contracting that disease,” said Salama. Khalid Eltahir, WHO’s Incident Manager inBangladesh, said that there is a multi-sector action plan in place whenever a disease outbreak is detected. 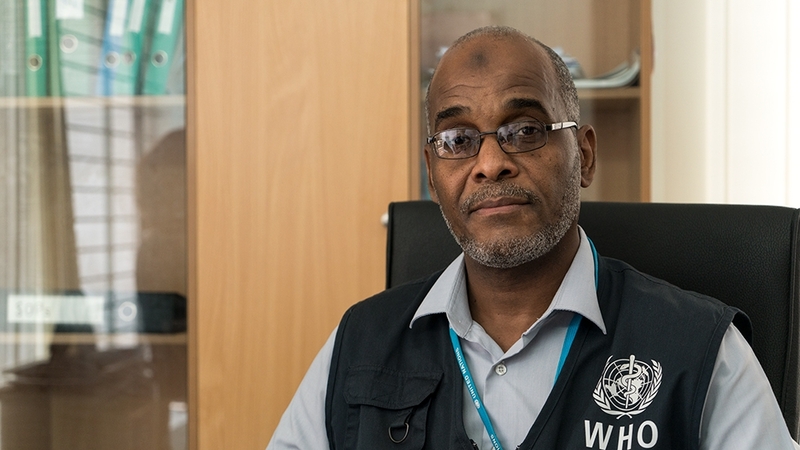 “We also have disease surveillance in place on a daily and weekly basis,” said Eltahir. Yet there were some scares too, such as the re-emergence in November of diphtheria, a disease that has been largely eliminated in western countries. Diphtheria – an infectious disease that can be transmitted through direct physical contact or indirect respiratory contact with an infected person’s coughs or sneezes – has a higher mortality rate in young children. Its symptoms include a sore throat, low fever, and swollen glands in the neck. 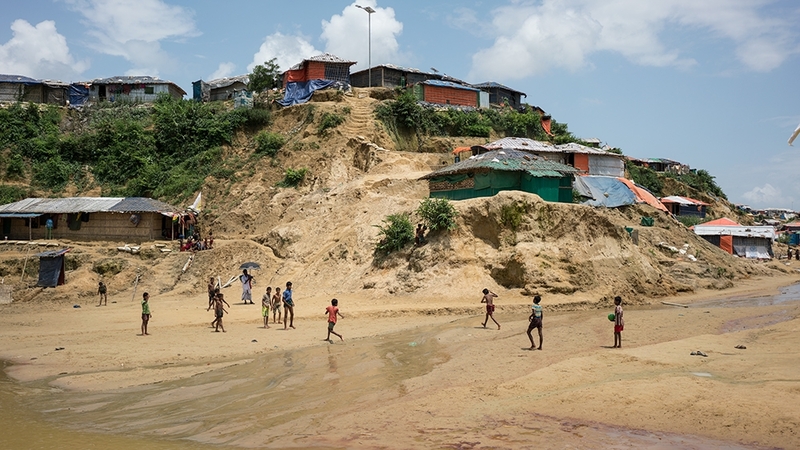 “There has been almost 8,000 cases,” said Suraj Man Shrestha, the head of WHO’s health operations in Cox’s Bazar. Shrestha added that while the diphtheria outbreak was contained, “there is still a lot of work to be done”. “We had a series of immunisation campaign rounds so that the Rohingya would be protected for the rest of their lives, bringing in resources from within WHO as well as partnering with organisations like UNICEF whose mandate is to support vaccines,” he said. One challenge that these campaigns faced was that some children, who form the majority of the camps’ population, were missed at the time the inoculations were administered. Shrestha said that in these instances, it was important to engage community mobilisers, health volunteers, imams, and the mazis (Rohingya community leaders) to create awareness. “This would encourage the community on health-seeking behaviour, and questions among themselves like ‘Have you been vaccinated?’ ‘Have you?’ ‘I am protected from this disease’,” he said. 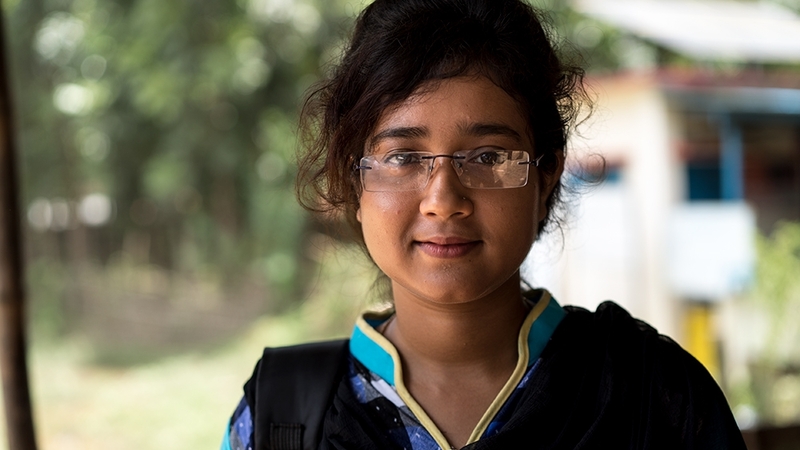 Sadia Afrin, a young Bangladeshi woman who works in the camps as a field immunisation monitor, said that at the beginning of last year’s influx, there was a prevailing sense of mistrust from the Rohingya regarding getting vaccinated. Shakira Khatun, who arrived at the Balukhali camp last August, said that she was, at first, wary of immunisation shots when she took her then two-year-old child to a health centre. Shrestha said that there was a common misconception among the Rohingya that vaccinations would make them sterile, but they were open to learning about the importance of receiving shots. Afrin agreed, saying that “it took time to build trust and awareness, but with the help of Rohingya community leaders, attitudes are now generally positive”. Another Rohingya mother, Rahema, credits the community mobilisers for raising awareness through campaigns and consultations even before the camp population started swelling last year. “That’s how I came to know about the vaccination programme and what it is for,” the pregnant 25-year-old mother-of-three said. Afrin said children under the age of two are now vaccinated against 10 diseases including diptheria, tetanus, Hepatitis B (through the pentavalent vaccine), rubella, pneumococcal diseases (through the PCV) and tuberculosis (through the BCG vaccine). “Pregnant women are inoculated with Tetanus-Diphtheria, which protects newborns from whooping cough,” she said. A problem the health sector as a whole faces in the Rohingya camps is the lack of financial resources, with Eltahir pointing out that it is “one of the poorly funded areas”. “The health sector up until now is supported by 19 percent by theJoint Response Planthat was launched in March,” he said. Shrestha said that long-term sustainability must be looked into. “A lot has been done one year on and we still have funds flowing in, but should the donor fatigue set in, then we need to start looking into sustainability because lives matter,” he said. The long-standing health issue, according to Salama, is trauma from being exposed to violence, including gender-based violence and witnessing acts of violence. “The Rohingya population have been through very traumatic experiences, such as watching loved ones being killed, injured, or maimed and being separated from their family,” he said. According to Shrestha, the WHO is discussing building the capacity of health workers to identify trauma and provide psycho-social support to those who need it, including substance abusers. Salama was quick to praise the efforts of Bangladesh, which opened its borders to the Rohingya. “What we really need is international solidarity, especially considering that the Bangladeshi government has been extremely generous in accepting these refugees and dealing with all of the social crises that have resulted,” Salama said.